Sean Kingston's been on a tear recently, linking up with beef-master Soulja Boy just a few weeks ago on "Trial" off of King Soulja 7. 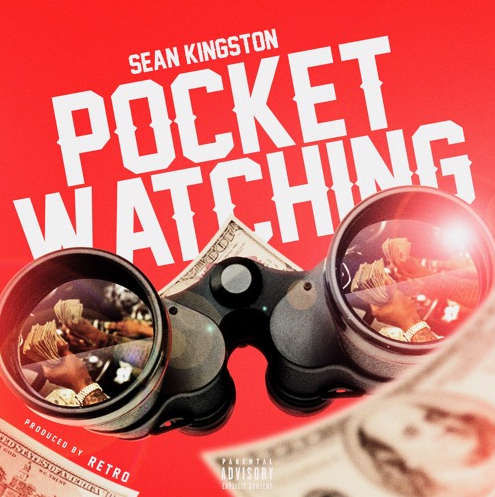 Now Sean brings us his track "Pocket Watching," produced by RETRO. In the track, the talented vocalist calls out the broke dudes who stay glued to his cheese, watching his every flashy move while he's in the club. That same attention that attracts snakes, gets Mr. Sean Kingston the hoes though. Give Sean Kingston's "Pocket Watching," and let us know what you think. Do you think this could be the next big hit from Mr. Kingston?